Spring is home improvement season, and there’s no better project than a kitchen remodel to boost your home’s value and livability. When redoing the kitchen, you’ll want to select a backsplash and wall color combination for a pleasing design. Armend’s Painting & Home Improvement, in Hartford, CT, is the area’s go-to remodeling and painting contractor. The team offers four ideas for backsplash and wall color combinations that are sure to leave a lasting impression. Glass and metal add a sleek finish to a modern kitchen remodel. Tiny metal inserts are scattered throughout a backsplash of glass tile, dazzling with reflective light. Pair this backsplash with neutral walls like a warm gray or white. Consider adding stainless steel appliances and white cabinetry with simple, nickel hardware. Gray, blue, and white are some of the most popular colors in interior design for 2018. Dove gray works well in a backsplash in ceramic or glass tiles or natural stone. Add white cabinetry or countertops and blue paint. Tie it all together with metal hardware on the cabinets and add some warmth with natural wood floors with a reddish-brown finish. Many modern home remodels incorporate eco-friendly features, including energy-saving appliances and recycled materials. Consider a recycled glass tile backsplash to add to your decor. The matt tiles, in earthy colors such as grays, creams, and brown, pair perfectly with neutral walls. Consider incorporating a tropical aesthetic into your kitchen remodel with warm green or yellow walls. You can also add a bold wallpaper with a tropical design, such as broad green leaves. Contrast the exotic walls with a dark colored glass mosaic backsplash and stainless steel appliances. 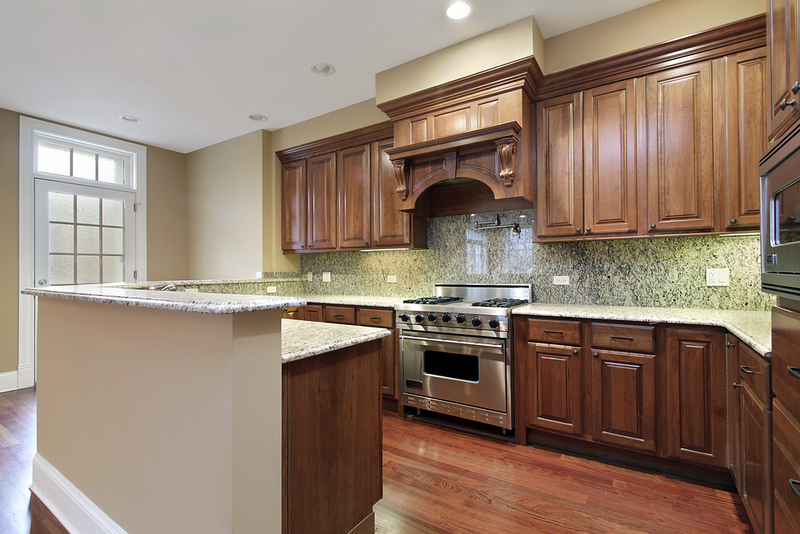 For your next kitchen remodel, turn to the home improvement specialists at Armend’s Painting & Home Improvement for expert guidance and high-quality supplies. They provide a broad range of services from gutter cleaning and power washing to house painting. Call (203) 597-7179 to speak with a contractor about your next project or visit their website to learn more about what they have to offer.